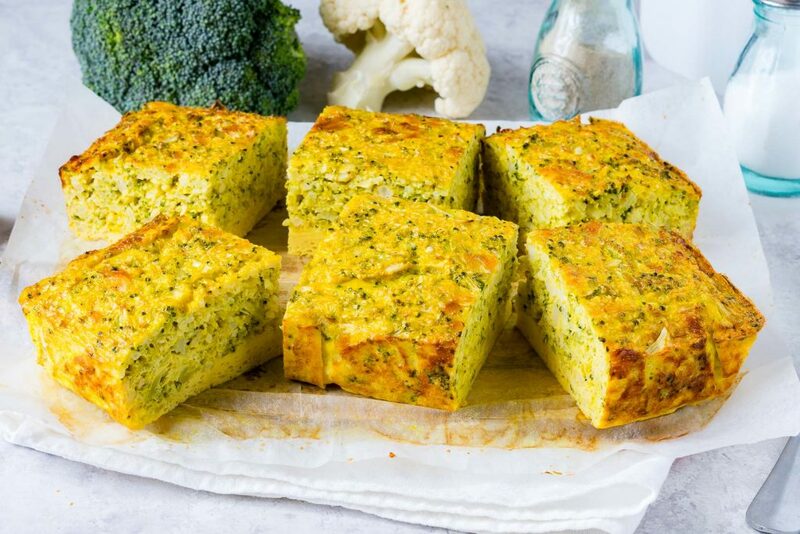 Clean Eating Broccoli + Cauliflower Frittata is Grain Free and So Good! 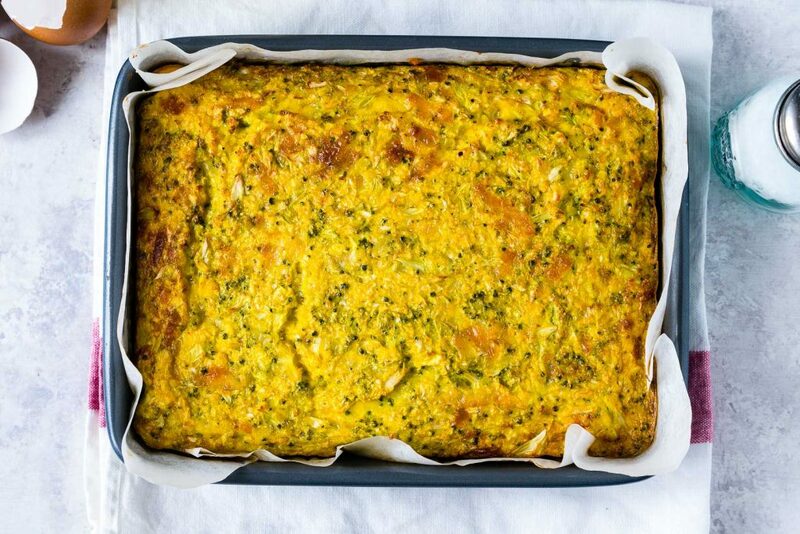 Grease and line a 9×13 baking dish with avocado oil and a large parchment sheet. 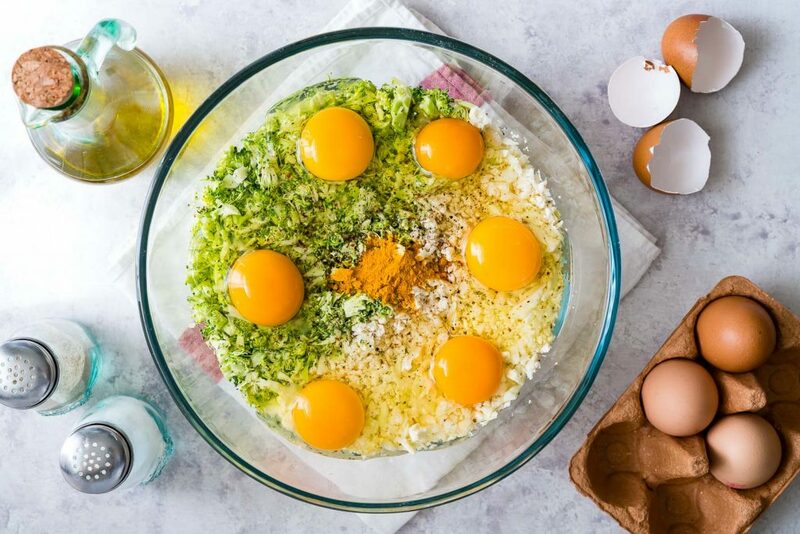 Whisk eggs and all seasonings in a large glass bowl. 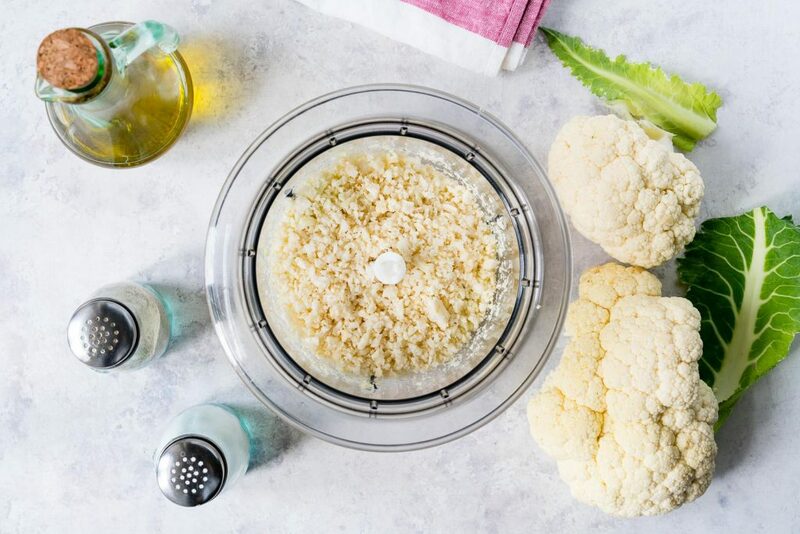 Add in the cauliflower and broccoli “rice” to the egg mixture in the bowl, mix well to combine, add cheese if desired – stir – then pour mixture evenly into casserole dish. 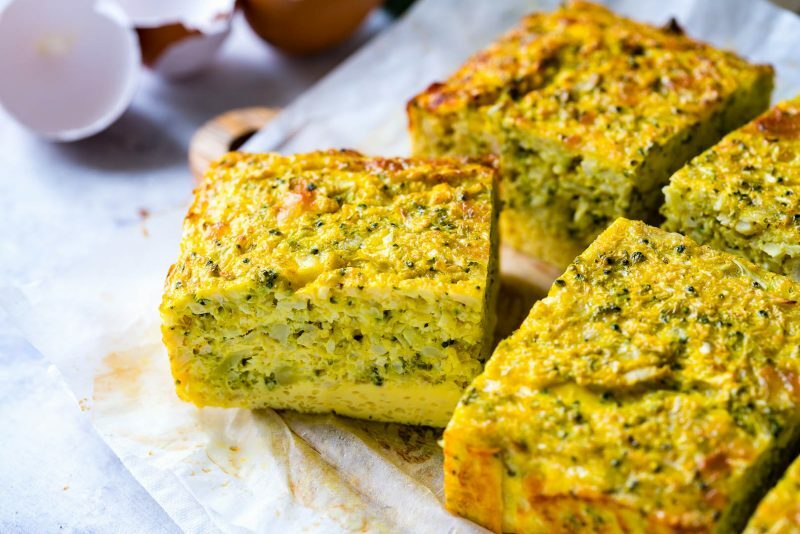 Bake for 40-45 minutes or until set and golden on top. 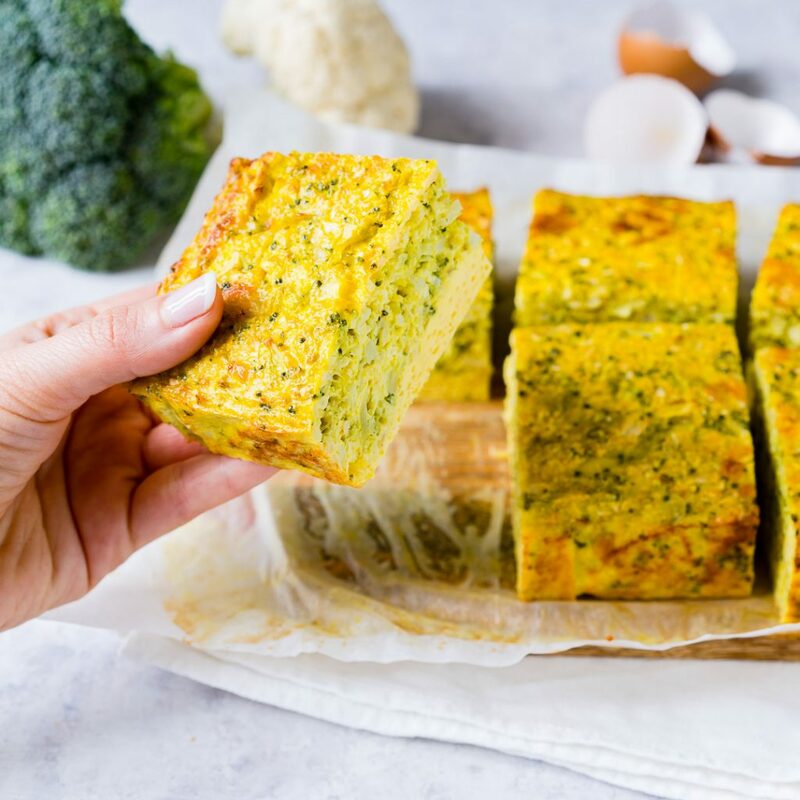 Let the frittata cool just a bit before slicing and serving 🙂 These can also be reheated on the go or the next day! Grease and line a 9x13 baking dish with avocado oil and a large parchment sheet. 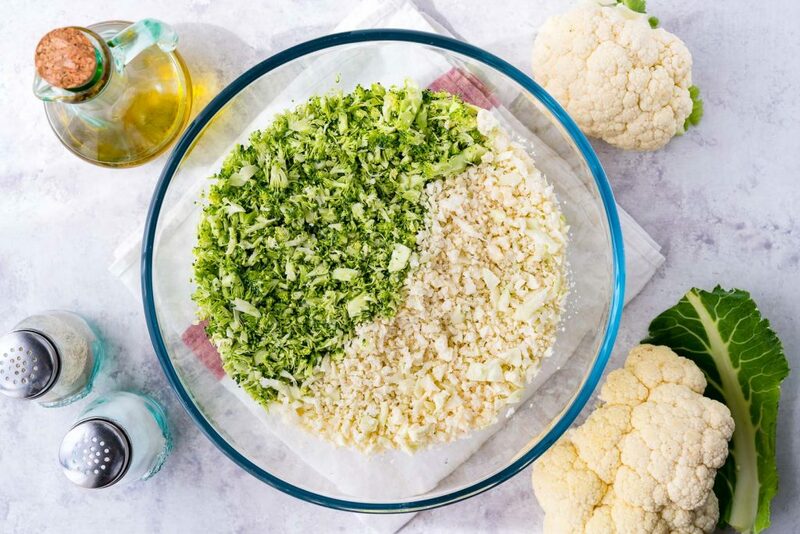 Add in the cauliflower and broccoli "rice" to the egg mixture in the bowl, mix well to combine, add cheese if desired - stir - then pour mixture evenly into casserole dish.